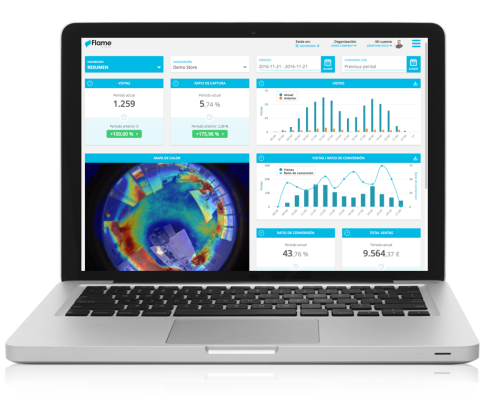 Thanks to Flame you can know your customers´ behavior and your business profitability by transforming people counters, WiFi and cameras´ data into insights and actions. Flame allows you to share a WiFi service with your clients, obtaining valuable demographic and contact information, while also impacting them with personalized promotions in real time. With Marketing Tools you can create customized campaigns, decide how and when you launch your campaings and, thanks to Analytics, you can measure campaigns´ impact and attribution.